Portland Squared 2018, Winner of "Urban Landscape"
This weekend was spent competing in PDX Squared 2018, a photography competition that has 72 photographers competing for the win in 7 categories. You pick out of a bucket a piece of paper that has a number on it. That number coincides with a square area of Portland Oregon. You have 24 hours to photograph, edit and submit 5 images to be judged against the other photographers images. I have been attending this competition for 3 years and came close last year to a win but sadly it didn't happen. This year it happened! I submitted 2 images to the category "Urban Landscape". Its a difficult category as it has to be man made in its environment and the most competitive. the wording is strange and its hard to pin point exactly what the judges wanted but i submitted my two images with hope and anticipation. The first image was kicked, not sure why but it did't make the cut. 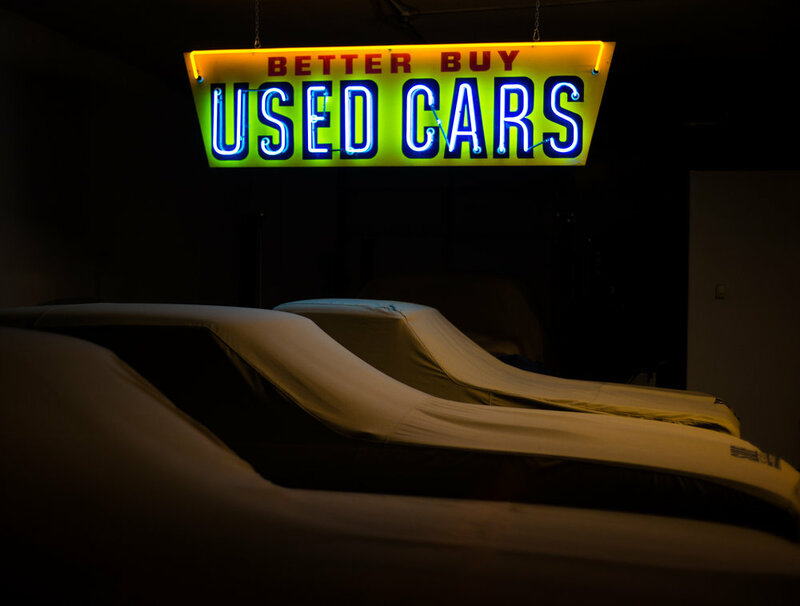 The second image was of 3 cars under car covers inside a garage at night lit by a neon sign that said "Used Cars". This one the judges liked but one didn't know if it fit the category. in the second round the battle lines were drawn, 2 judges wanted it to be the winner but it took some convincing and re-reading of the categories, more discussion, some comments from the other photographers and in the end it was finally the winner. I was so elated, i came this close to crying. 3 years of learning my camera, 3 years of working on composition and style, worth every minute! I cannot thank Pro Photo Supply, ASMP of Oregon, the judges and my pod leader Erica. Without them, this competition would not happen. I cannot wait until next year!